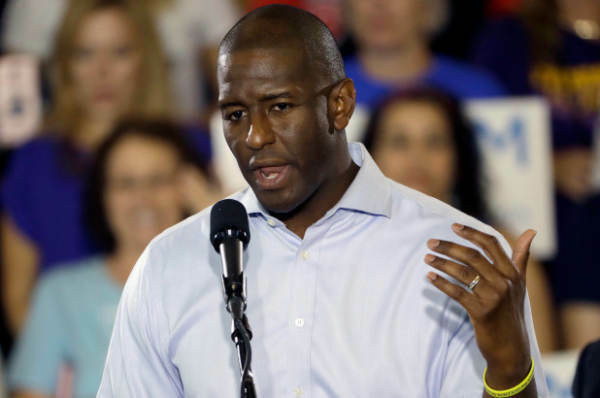 The Andrew Gillum campaign continues to implode, now with reports that he failed to disclose $4,386 of an “in kind contribution” made by an undercover FBI agent who had been investigating the campaign. Campaign finance laws require all candidates to report all campaign contributions and expenditures to be listed with the state disclosure portal. While there’s usually a 30 day window to file these reports, the FBI agent’s contribution is from 2016. An undercover FBI agent posing as an Atlanta developer seeking to do business with the city of Tallahassee was billed for food and drinks for a 2016 fundraiser for Mayor Andrew Gillum’s nascent political action committee, documents released Friday show. The Forward Florida PAC would eventually become the war chest for Gillum’s gubernatorial campaign. It is the first piece of evidence linking an ongoing FBI probe to Gillum’s broader campaign for statewide office. The Ethics Commission initially subpoenaed records of Corey’s travel that included the mayor, producing 150 pages of documents that included text messages confirming that Gillum attended the Broadway hit “Hamilton” while in New York in August 2016 and that Miller provided the tickets. The invoice — billed to “Forward Florida Honoring Andrew Gillum” — described a dinner for 40 guests of filet mignon, twice-baked sweet potatoes, salmon mousse canapes, broccoli and carrots, and southern style strawberry shortcake for $2,800. The bar tab was $1,200 for beer, wine and liquor. Adding a 20 percent service charge and sales tax brought the bill to $5,160, but an owner’s discount brought the remaining balance due to $4,386.